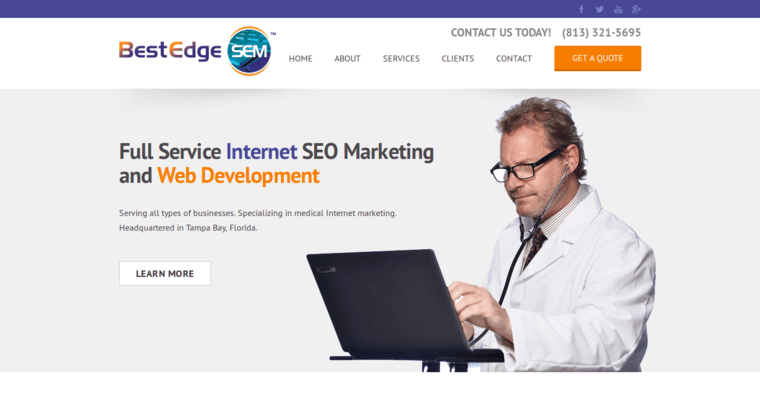 Best Edge SEM begins to help you as soon as you visit their website. By providing your own site's web address and a contact email, their technicians will evaluate the quality of your site. This will give you a free consultation that points out your site's weaknesses. From there, you can choose whether or not to learn more about how Best Edge SEM can help you improve your online presence. 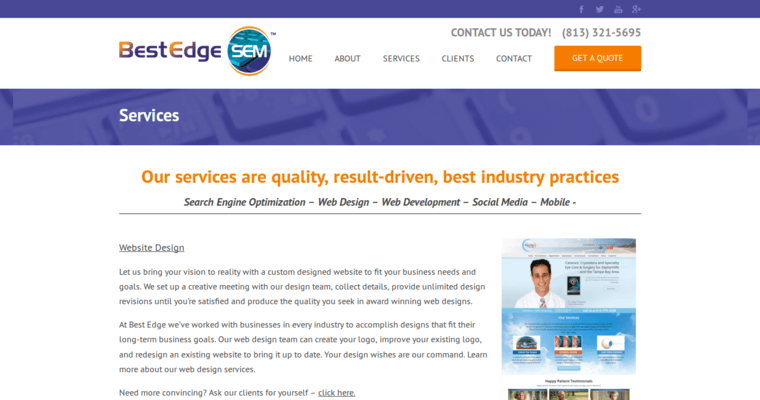 Once you hire Best Edge SEM, their web design professionals will start working with you on building an improved website. This means you'll be able to incorporate multimedia and interactive features, while keeping the user experience simple. 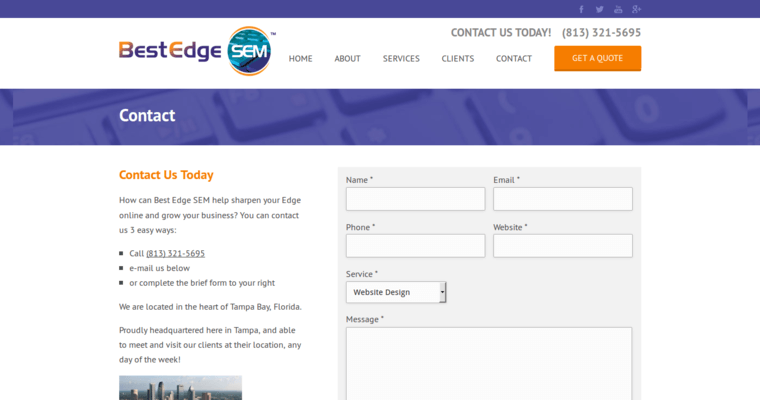 Even after your new website is up and running, Best Edge SEM will help you increase the site's visibility. Taking advantage of SEO trends and other types of digital marketing services provided by the firm will help you improve your website's reach. As your site gains more visitors, your business will grow as well.